I’m excited to announce that I will be facilitating a My Health for Life Program at Minds4Health in Stafford starting on Friday 5th October. 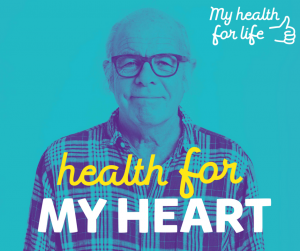 The My Health for Life Program is a free program for people over 45 that are at risk of developing a chronic health disease and would like to make lifestyle changes to live healthier and reduce their risk. The (mainly) group program provides support to participants while they decide and start making lifestyle changes that they want to make. Many participants find the group program very supportive. Support people are welcome and encouraged to come to the program. The program consists of one individual consultation with the facilitator and 5 group sessions over 6 months. If you would like to be eating healthier, moving more, coping better, smoking less or not at all, drinking alcohol moderately or losing weight this program might be for you. The program is funded by Queensland Health and there is a quick survey that can be done over the phone with Cathie to see if you are eligible. Cathie Lowe is a My Health for Life Facilitator and an Accredited Practising Dietitian. 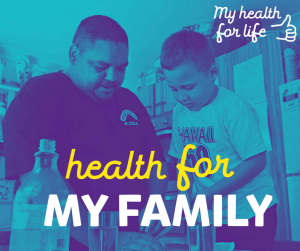 If you would like to know more about the program and eligibility please contact Cathie directly on 0409628551 or emailenquiries@minds4health.com.au or for general information call My Health For Life on 137475. School has started and it can start getting hard to think of meals and snacks that children will eat that are healthy for their bodies. There are lots of fancy meal ideas such as the chicken and salad rice noodle wraps photo HOWEVER parents can spend a lot of time and effort for these meals to be returned home untouched in the lunch box. Click on the Healthy Together Achievement Program site for a great poster that you can stick on your fridge to help you and your children plan lunch ideas. Even with fussy eaters I can usually negotiate a healthy lunch if there are enough ideas for them to choose from. Best wishes from one lunch box packer to another, Cathie Lowe. It’s feeling like summer in Queensland which is when I start looking for salads. Which is one way of boosting vegetables if you aren’t getting your 5 vegetables a day. Have a look at the link below for recipe ideas for vegetables. The Asparagus Crumbed with Parmesan on Bocconcini Salad is a different way to eat asparagus which is in season now. 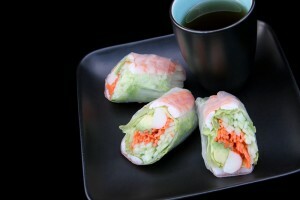 The Rice Paper Rolls are a great way to boost vegetables and these could be used at a party with the dipping sauce for a different snack. Continuing on with the Asian influence the Asian Salad with Snow Peas and Cashews is a refreshing crunchy salad. And finally a link to a website to help get ideas for how to encourage children to eat more vegetables…. Hope you take on the 5 Vegetable a Day challenge this week. Sleep is Really, Really Important! In a new journal article Alyssa Lundahl and Timothy Nelson look at how poor sleep quality and quantity affect the human drive to eat. The take home message is if you don’t sleep well – try to get help as is has a big impact on your food choices in many ways. Biologically, researchers have found that disrupted sleep can lead to a 20% increase in the amount of calories people eat and that portion sizes are bigger. It appears that 2 hormones control most of this higher drive for food. Lower levels of Leptin (tells our brain we how satisfied we are with what we’ve eating) are found in stressed adults with disrupted sleep and higher levels of Grehlin (tells our brain we are hungry) occur. This makes people look for more foods that are sweet, salty or starchy. Researchers have found other hormones also are changed with poor sleep including cortisol, insulin, glucocorticoids and these also make us change our food choices. If we don’t sleep well, our ability to think is reduced in several ways and can lead to adults and children eating more foods and for children looking for higher calorie snacks. Poor sleep affects a part of the brain that helps us with goal directed behaviours and being able to moderate our impulses and emotions. So it is harder to talk yourself into doing healthy goals like going for a walk, eating more vegetables and harder to say no to tempting higher calorie foods. Another part of our brain is disturbed with poor sleep, making the brain want more rewards to pleasurable stimuli – so we want that pleasurable sensation from tasting of sweet or fatty foods more than usual. Poor sleep affects our emotions. You are more likely to notice negative events and negative emotions and be emotionally distressed when you have slept poorly. I don’t think it would be a surprise to many people that when feeling negative emotions, adults and children tend to eat more foods. The changes in eating patterns are eating less fruit, vegetables and breakfast cereals and eating more sugary or high fat foods. The way humans behave is changed when sleep quality or quantity is poor. Adults and children are more likely to behave impulsively and plan less when they are tired. So when you are tired it is harder to resist tempting foods if you have an impulsive personality and you will tend to eat more food then you may have wanted or planned to. So if you are trying to make healthy eating or lifestyle changes, try to get enough undisturbed sleep so that you won’t have extra hormonal, thinking, behavioural and emotional challenges. Wishing you and your family a peaceful and mindful Christmas. Many years ago, I was at a family Christmas get together that was extremely emotional and stressful – family tensions were high, there were high expectations of what Christmas had to be as it might have been the ‘last’ Christmas for one of the family members. After about 20 minutes of shoving Christmas nibbles into my mouth I realised I had been unconsciously or unmindfully eating to deal with the stress. It was the liquorice lolly that I put in my mouth that made me realise what I was doing – as I really don’t like the taste of liquorice. Yet I’d put it in my mouth because it was there and it was something to do! So my first wish is that this Christmas Day is a peaceful one for you and your family. If you know that there is no chance of that- then don’t forget that there are tips to cope and people that you can talk to such as Lifeline if it gets hard. My second wish is that everyone can have a mindful day – be able to enjoy the little things such as the taste of a really sweet cherry or a juicy ripe peach or a hug from a loved one or enjoying the warm sunshine on your skin or the cool water from the surf or a pool. Be able to breathe slowly around any difficult emotions that arise and be able to let unhelpful thoughts pass through your brain like clouds floating in the air. Enjoy some movement – playing backyard cricket, going for a post dinner stroll, have a swim. 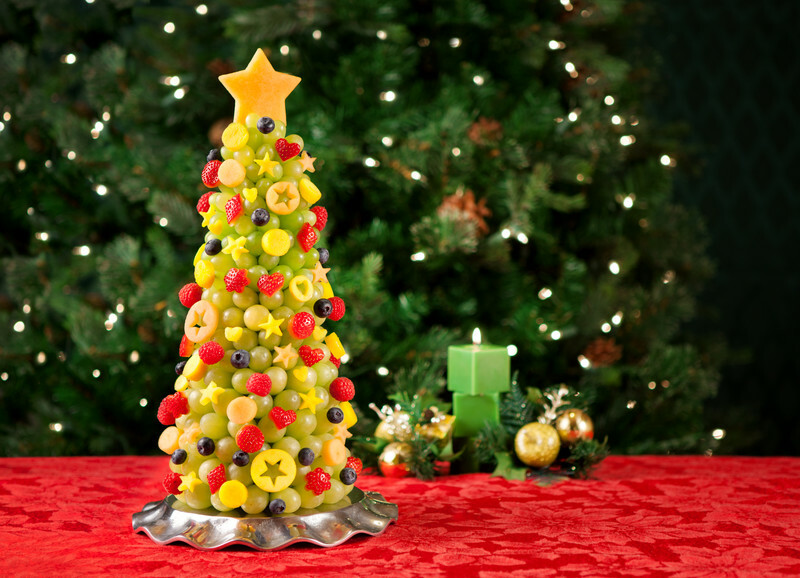 As my clients know, my last wish is that you enjoy all the festive food that you really, really like on Christmas day but watch out for unmindful eating or you’ll end up eating liquorice! This blog was written by Danielle Voller APD who is working part-time with Dietitian Services Qld. Mother’s Day is coming up soon, so why not treat mum to a healthy, delicious breakfast in bed! We have come up with some yummy brekky ideas that are sure to give your mum a great start to the day, and are also healthy, which she will love! Wishing all the mums a lovely day on Sunday. How healthy is your pantry? 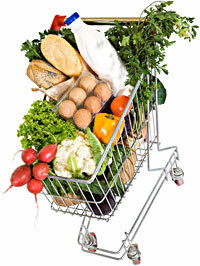 People often tell me that as soon as they try to buy foods that are healthy they find there is more sugar or salt. 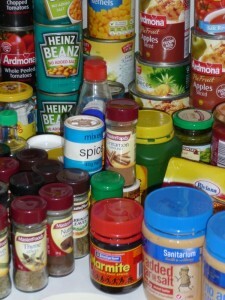 I’ve done up a list of pantry items that are healthy – compare this list to the foods in your pantry. I’m always happy to read your comments or suggestions so feel free to post them. Lower sodium (salt) foods are the hardest to find but they do exist. ‘Low salt’ has less than 120mg of sodium per 100g of food. Try to get products wit h lowest sodium level, you can always add a little bit of salt later when cooking. Nice hot filling meal for cold winter weather – enjoy. Serve with steamed vegetables such as pumpkin, broccoli, beans and peas. In a slow cooker or large casserole dish, place all the ingredients. If slow cooking, place in cooker and follow instructions. 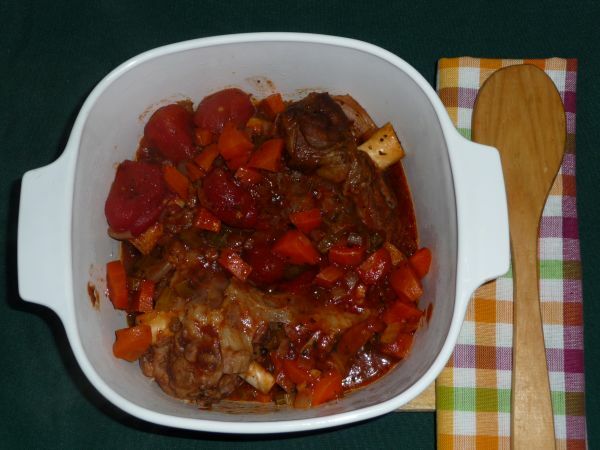 If baking in the casserole dish, bake in the oven at medium heat for 1 ½ to 2 hours until lamb is tender and ready to fall from the bone. Energy 2000kJ, protein 53g, fat 17g, carbohydrate 28g, fibre 9g, sodium 630mg. Spray or coat a saucepan with oil and add chopped onion, garlic and ginger. Cook until soft. Add all other ingredients and bring to the boil. Turn down the heat and simmer. Cover with a lid and cook for 20 – 30 minutes. Serve with a swirl of low fat natural yoghurt. Glycaemic index is a measure to see how slow or quick a food is digested and ends up as blood sugar. The lower GI foods are used on a day-to-day basis for people with diabetes to help keep blood sugars stable. The values vary depending on the variety, different skin types and flesh colours. This is the same with nutrients. Beta carotene is high in sweet potato with orange coloured flesh and Vitamin C levels are higher in other varieties. View our blog for healthy eating news, updates and recipes.